Want to know AMERICAN FLYER TRAINS VALUE when selling? In just a minute you can protect your investment and get its' TRUE VALUE. 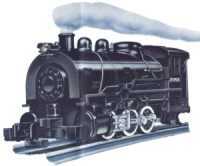 COMPLETE LISTING of AMERICAN FLYER S Gauge ITEMS from 1946 to 1966. American Flyer S Gauge Trains were made by The A.C. Gilbert Co. from 1946 to 1966. Though they were manufactured as Toy trains, they have increases in value over the years. They have truly become one of the most sought after vintage model trains. Many items were made for only 1 or 2 years and are VERY rare. What are your American Flyer Trains worth? You can check 1 item or HUNDREDS, all for one low price. Sold new for less than $25.00. See what it's worth TODAY! to be taken to the Value Guide. ONLINE Guide Access This is for one (1) time access to the Guide Web Site. After Payment wait to be redirected!! One time access to Online Guide ONLY. PDF Version can be viewed on your computer or printed. This is a Digital Download of a PDF File. After payment you will be redirected to the download page. DO NOT leave the site without downloading. No refunds on Digital Materials. Do you have one of these? ?